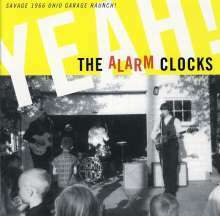 Der Artikel Alarm Clocks: Yeah! wurde in den Warenkorb gelegt. Get on board with wild sixties Ohio garage band mayhem from the Alarm Clocks, whose sole '66 single Yeah/No Reason To Complain remains one of the most sought after punk 45s ever! That wax is joined here by a manic unissued studio sesh plus raw, early demos as the Perceptions plus massive band history complete with hate mail from neighbors!! A must for garage fanatics who dig their sounds raw, primitive and extremely LOUD!